I’m always taking photos with my iPhone. Sometimes taking photos with the iPhone flash come out terrible or seem to frighten small children (and most adults) when in restaurants or other dimly light places. 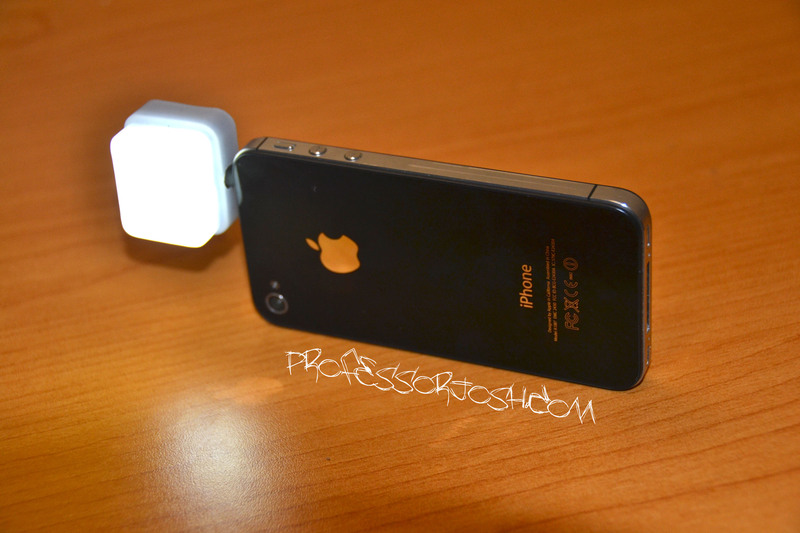 Wouldn’t it be nice to have a LED portable lighting system for your smartphone or tablet? The iblazr is the first fully synchronized flash for iPhone, iPad and Android. It’s small, powerful, and multifunctional features make it a must have for smartphone photographers. I backed the iblazr project a few months ago through Kickstarter. The iblazr can be connected to the device audio jack and works with both front and back cameras. iBlazr provides over 180 lux on 1m which is four times higher than iPhone’s built-in flash. The iblazr is built in with four high-end CREE LEDs which is the source of the light. It comes with its own battery so that it doesn’t draw from your device’s battery. Each fully charged battery can power iblazr for up to 1000 flashes or 40 minutes in constant light mode. 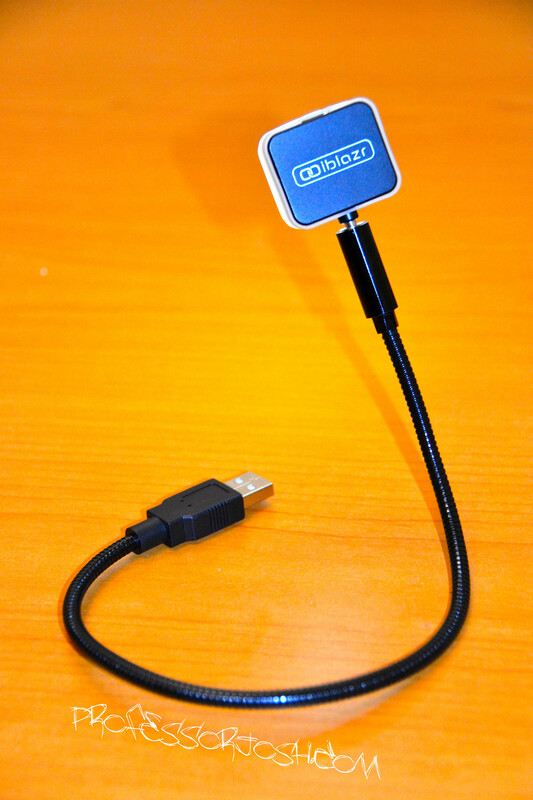 Recharging of iBlazr can be done with a USB cable. 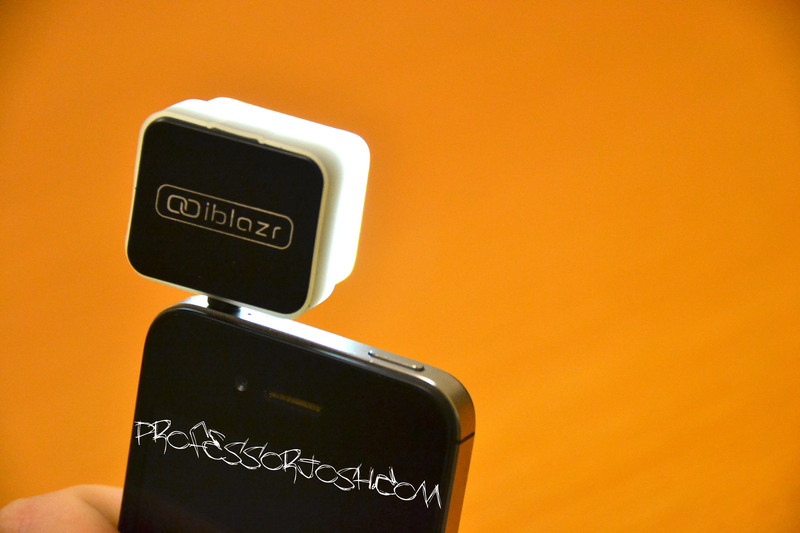 Besides using it as a camera flash for mobile photos, iblazr has other uses too. The USB charger can function as a stand so that you can use iblazr as a light source or as a compact table lamp. When it is not charging or connected with any devices, iblazr can function as a regular flash light. 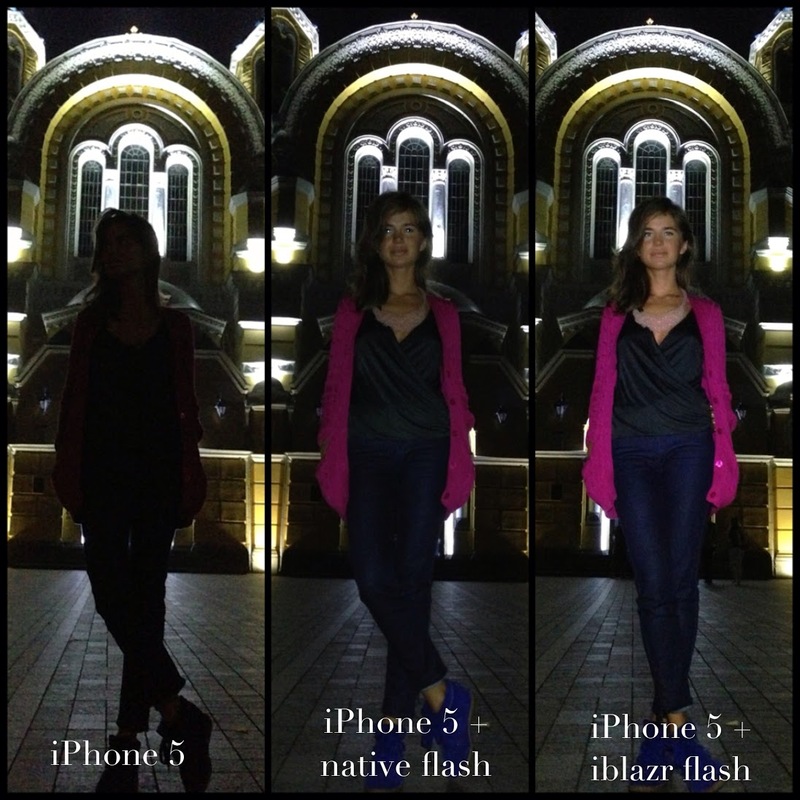 Here is an example of the iPhone 5, iPhone 5 with Flash, and iPhone 5 with iblazr.